1. Loosely position all the images, embellishments, journal blocks & papers you are using for the page before you stick them down, have fun trying out different layouts before you commit to gluing it all down. 2. Think of a fun title for your scrapbook page that sums up the theme or story you are telling, use glitter stickers or die cut letters to make them really stand out from the page. 3. First Edition and Grace Taylor Scrapbook albums are easy to use with the revolutionary Snap Load system that replaces the traditional post binding. The easy snap action holds albums firmly and allows you to add or remove pages in seconds. 5. Like the idea of scrapbooking but don’t think you have the time, then try a La De Dah journal where you can document all your memories and inspirations in one place without spending hours on layouts. Remember scrapbooking is all about having fun and enjoying yourself, don’t take it too seriously, each layout will be a learning curve, don’t be afraid to try new techniques. 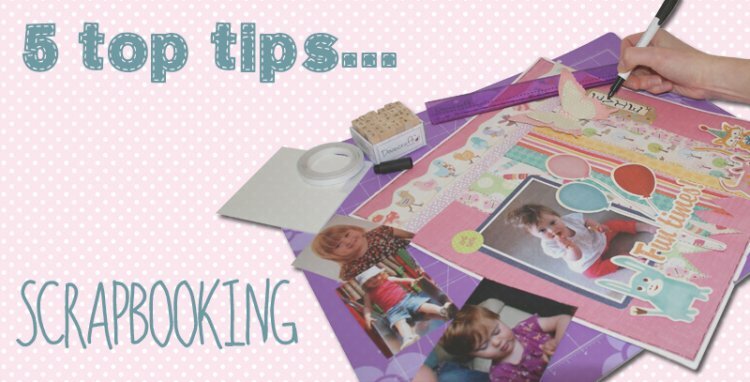 We have over 3000 scrapbooking ideas in our project gallery to inspire you.